In many parts of the world, it’s almost impossible to find someone who hasn’t even heard of Supercell’s Android/iOS title Clash of Clans. The game’s popularity is unquestioned, as it’s often the first game you’ll see when opening the Google Play Store. 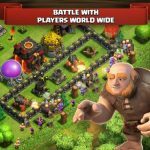 However, in case you haven’t heard much about it, Clash of Clans is a city-building strategy game where you can build your own village, raise an army with different units such as Barbarians, Archers, and Hog Riders, and raid other players or Clans from around the world. 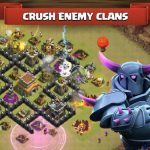 Now, if you need help getting a leg up over the competition, we suggest you to check out the following Clash of Clans cheats, tips and strategies. 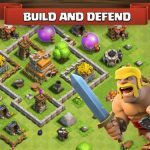 If you’re just starting out in Clash of Clans, you’ll be able to protect your base with wooden walls. Take note we said “wooden,” because these are level-one walls that won’t provide you much protection from higher-level enemies. As such, you’ll want to upgrade them to level three as quickly as possible; once upgraded, they’ll be your best defense against invaders. Also, make sure your base has walls all around it, leaving the enemy no way to sneak in. 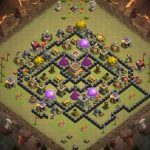 It’s been mentioned in a few tips and tricks guides, but when it comes to farming in Clash of Clans, the best thing to do is lower trophies to 200 and do your farming with goblins. As Clash of Clans bases matchmaking on the number of trophies you have, a lower number would give you easier opponents. Of course, that means lower-quality and less loot, but that’s the tradeoff you’ll have to consider when using this strategy. When raiding in multiplayer skirmishes, keep in mind that you can earn 100 percent of Town Hall storage; 75 percent of Dark Elixirs in their respective drills; 50 percent of what’s stored in gold/elixir collectors; 20 percent of what’s in the gold/elixir storage; and 5 percent of the Dark Elixirs in the Dark Elixir storage. Your available loot, however, would be less if you’re raiding an enemy with a lower Town Hall level than yours. First of all, this cheat will only work for you when there are less than 30 seconds before your troop upgrade (full army required) is completed. If you’re within this short timeframe, cue up the troop being upgraded, untrain the troops following the upgrade, and get some elixir for free. What we mean to say here is this – return to action immediately even if an enemy attacks your base with your defenses down. Yes, it may be very demoralizing, but you’ll have a “Revenge” option that would allow you to go out there and attack whoever had sneaked up on your base. This would allow you to look at your opponent’s base prior to attacking, giving you a nice advantage.